New York City's Amy Allison (www.amyallisonmusic.com) is the daughter of jazz and blues pianist and singer-songwriter Mose Allison, and she grew up on Long Island, but you'd never guess her bio from the country-folk-pop-rock she makes. She makes it seem so natural that to know her--to appreciate what she does--is to love her, and to love her is to feel as though you know her. In other words, she earns the title of her latest CD, No Frills Friend (2003; www.dieselonly.com). For the past decade, fronting her band the Maudlins, in the duo Parlor James, and as a solo artist, Allison has established herself as that rarity in what pop-rock-schlock impresario Malcolm McLaren has called our karaoke world: a unique voice. No matter which musical setting you start with, at first Allison's singing voice might strike you as a high whine. Imagine a blend of Victoria Williams, Lucinda Williams (no relation to Victoria), and Doug Martsch (of Built to Spill). Her voice isn't really high and whiny, though, as much as extremely nasal. It won't storm the barricades of Top 40 radio or iTunes, provide the soundtrack for a car commercial, or enter heavy rotation at the coffee chains. It's an acquired taste, but a taste well worth acquiring if you value personality, expressiveness, soul--let me venture out on a limb here and call it humanity. I could try to downplay Allison's tendency to overemploy the nose, I could portray her as the next Norah Jones or some other smooth operator, but what's the point. If you're looking to be soothed by background sounds, you might as well stop reading. Or if you want to hear an Amy Allison song delivered differently, you might try country-music connoisseur and singer-songwriter Laura Cantrell's cover of "The Whiskey Makes You Sweeter," on her first CD, Not the Tremblin' Kind (2000; Diesel Only). Allison's original appears on her own debut, The Maudlin Years (1996, Koch), which collects the songs she honed with her Brooklyn-based band, the Maudlins: Rob Meador and Simon Heathcote on guitars, mandolin, melodica; Charlie Shaw on percussion; either Mark Amft or Arturo Baguer on bass; either Steve Lewis on lap steel or Bob Hoffner on pedal steel. In the November 2000 Vanity Fair, pop-rock-and-sometimes-schlock impresario Elvis Costello listed this as one of the five hundred "Albums You Need--The Best of the Best." In a just universe, it would qualify as a minor classic. In reality, it's out of print, so you'll have to buy it straight from Allison, if she has any left, or find it secondhand. But how can I tell that to my cheating heart? It might just be the saddest song ever written, but Allison doesn't wallow. She's melancholy, not morose. I'm down on dreaming . . . Seven years later, on No Frills Friend, Allison rerecorded this one, changing the title to "Dreaming's Killing Me," speeding up the tempo, turning it into neo-new wave with what sounds like a vintage late-'70s synthesizer. The remake is more fun, deliberately less devastating, than Parlor James's long, slow, dreamy, druggy version. Also worth comparing are Allison's version of "This Misery" on The Maudlin Years and the faster, chirpier, drum-machine-powered one on Parlor James's Old Dreams (1997, Sire; also out of print). Here, on the band's only full-length recording, producer/engineer/musician Malcolm Burn, best known for his work with Daniel Lanois and Lisa Germano, helps turn Parlor James's Americana into the kind of trip-hop pioneered by, among many others, Portishead, Massive Attack, and Tricky. 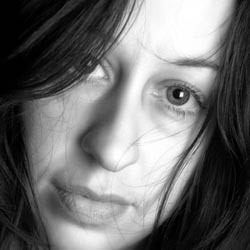 The mix of repetitive dance grooves, atmospheric textures, and traditional songwriting can be jarring, but it also produces combinations both beautiful, as on Allison's ballads, and powerful, as on Hedgecock's rockers. The CD is worth finding if only for their version of the traditional folk song "Clementine," which sets mournful harmonies against a spare backing that sounds like and might even be an electronic hybrid of hi-hat, lute, and mandolin. Allison delivers these lines without self-pity or kitsch. She's both full of feeling and ironically putting on a persona. Where could she go from there but further down that patented trail of tears, into weaker versions of the same thing or even into self-parody? Two years later, she did an unexpected but characteristically smart thing and changed direction, moving--if not relocating--to a different place with some familiar landmarks. Recorded in Scotland, produced by David Scott (of a Scottish pop band called the Pearlfishers), and played by Scott and Allison with three percussionists, No Frills Friend does away with lap steel, pedal steel, and much of the woe-is-me approach. Oh, Allison hasn't transformed herself into Ethel Merman. She hasn't written a bunch of anthems or covered Katrina and the Waves' "Walking on Sunshine" (though she could work wonders with it). No, but she has put some distance between herself and alt-country--just in time, since it seems to be running out of gas on its little lost highway--and she has begun singing about more than pain and sadness. The difference leaps out at the start of the first track, "What's the Deal?," where a burst of synthesized strings leads to full-fledged pop-rock, all strumming acoustic and ringing electric guitars, organ, bass, drums, and Allison, sounding delighted: "I'm in suspense, I can't quit hoping / I've no defense, my heart is open." On "Baby, You're the One," a giddy love song, she channels Phil Spector's girl groups, Buddy Holly, the Beatles, the Beach Boys. On "Don't String Me Along," a down-on-love song and a distant cousin to Ray Charles's "Lonely Avenue," she goes slow, slinky, bluesy. On "Say It Isn't So," which wants to be positive but is really down, she draws on the Righteous Bros. and late-period Bob Dylan. Influences aside, though, Allison crafts her most subtle, elegant, and unclassifiable arrangements, all perfectly suited to her voice. If you want to hear her sing, after all, you want her voice unencumbered, as nature intended, a "no frills kind of friend" and unafraid to admit it.